The 2013 Subaru XV CROSSTREK. A compact crossover with few peers. A born leader in efficiency and environmental sensitivity. Capable. The symmetrical AWD and 8.7" of ground clearance will get you where you want to go. Clean. EPA rated at 33MPG highway. Comfortable. With heated front seats. Versatile. With over 50 cubic feet of storage area, the CROSSREK can handle what you have. 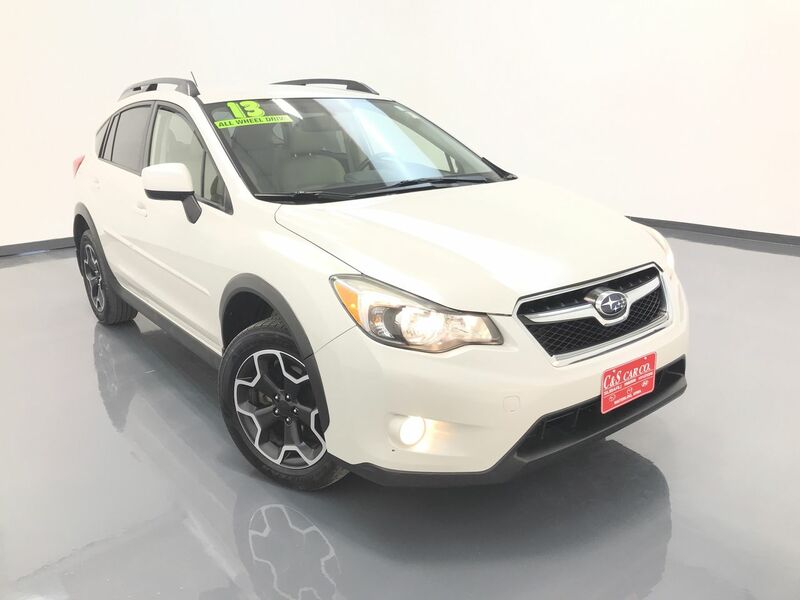 This Subaru XV CROSSTREK LIMITED has a leather interior with heated front seats, keyless entry, steering wheel mounted paddle shifters, a cargo tray, a luggage compartment cover, Weathertech floor liners, and a back-up camera. The sound system has an AM/FM/CD unit with Bluetooth connectivity. The exterior features 17" alloy wheels with Goodyear tires, and a 1 1/4" receiver hitch. **One Owner** Call C & S Subaru at 319-291-7321.